This morning, my foster bunny Milo was on the Fox59 morning news during a pet segment with Indy Tails Magazine (we know their representative, Erin, as a vet tech at one of our local bunny-specialist clinics). Indy Tails had featured the Critter Castle, which Milo modeled. We may have our own segment closer to Easter as well. February is national Adopt a Rescued Rabbit month! 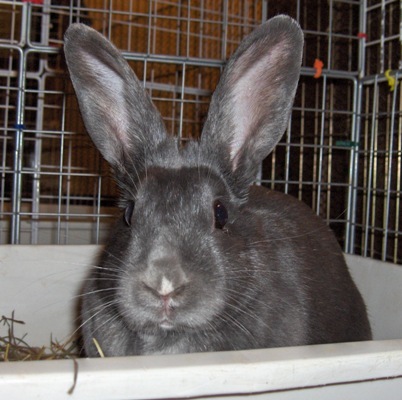 Indiana House Rabbit Society has about 60 foster rabbits currently looking for homes. We just rescued our 400th rabbit in January, Arwen! Arwen was starving in an outdoor hutch along with her bunny friends. A stranger fed the neglected rabbits and finally convinced the owners to relinquish them instead of eat them. Arwen is recovering from ear mites and spay and will be up for adoption soon. 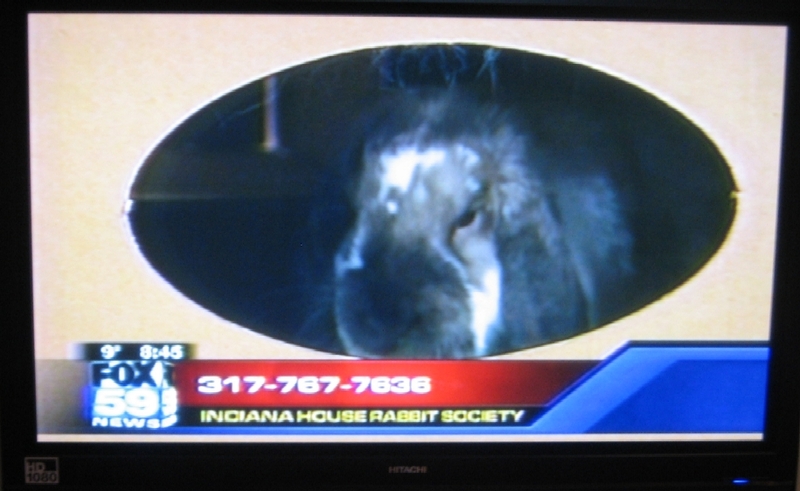 That’s funny because my rabbit Milo was on WNDU Easter morning a few years back. He sat patiently amongst Easter baskets and colored eggs and the stretched really far to look over the edge of the table he was sitting on. We got about 6 emails saying how cute he was.